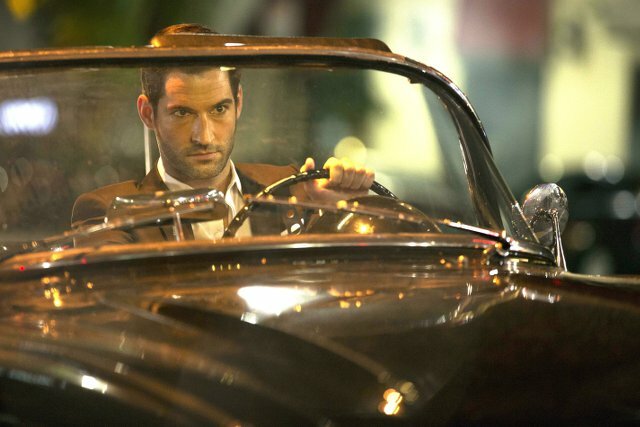 First impression: is Lucifer devilishly addictive? The latest DC Comics adaptation to hit the small screen is Lucifer, which arrived in the both the US and the UK this week. If you want to avoid spoilers about the first episode of Lucifer, we suggest you stop reading now. If you want to hear our first impression of the show then keep reading. Developed by Tom Kapinos (Californication), Lucifer is based on the character created by Neil Gaiman, Sam Keith, and Mike Dringenberg for DC Comics’ Vertigo imprint. Comic book fans will know that Lucifer started off as a supporting character in The Sandman comics before getting his own self-titled spin-off. British actor Tom Ellis (Miranda) stars as Lucifer, the Lord of Hell who left his throne to run a nightclub in Los Angeles. In the Pilot episode it is quickly established that Lucifer has the power to compel people to speak the truth and admit their sins, something he uses liberally throughout. It is also revealed that his father wants him to return to Hell and that dark-winged angel Amenadiel (D.B. Woodside), who despises him, has been sent to bring him back. At the beginning of the Pilot episode Lucifer meets with Delilah (AnnaLynne McCord), a recording star that ‘sold her soul to the devil’, who assures him that she’s going to get her life back together and reach her true potential. She doesn’t get the opportunity to realise that goal however when she is shot down and killed in the street. From that point Lucifer moves away from the traditional comic book formula and steps into the well-trodden procedural. The murder of Delilah brings him into contact with LAPD homicide detective Chloe Decker (Lauren German), a woman who went from actress to cop and has made more enemies than friends in the force. At first Chloe doesn’t know how to deal with Lucifer and he is thrown when he can’t compel her to do anything. Throughout the episode the two exchange witty dialogue with Ellis oozing charisma as Lucifer and German convincing as the tough cop that refuses to take his claims seriously. When Chloe realises Lucifer isn’t going to leave her alone, she reluctantly accepts his help with the case and when they hone in on the person behind Delilah’s murder, they are forced closer together after Lucifer saves Chloe’s life. Lucifer sets itself up as a comic book/procedural hybrid that brings to mind shows such as Sleepy Hollow and to a lesser extent Gotham. There are elements of the show that feel like they’ve been done to death – the unlikely pairing with a cop, the procedural formula etc – but the performance of Ellis is reason enough to watch. Most people know him from Miranda but Lucifer gives him much more opportunity to spread his wings and show what he’s really capable of. Based on the first episode Lucifer is worth sticking with. It may not be groundbreaking TV but it’s confident, assured and entertaining. I’m intrigued to see how the relationship with Lucifer and Chloe progresses, and I hope it avoids the pitfalls of forcing the two leads into a romance due to their genders and sexual preferences. The show has a lot of promise and there’s scope for it to go from good to great. New episodes of Lucifer are available on Amazon Prime Video every Tuesday in the UK.